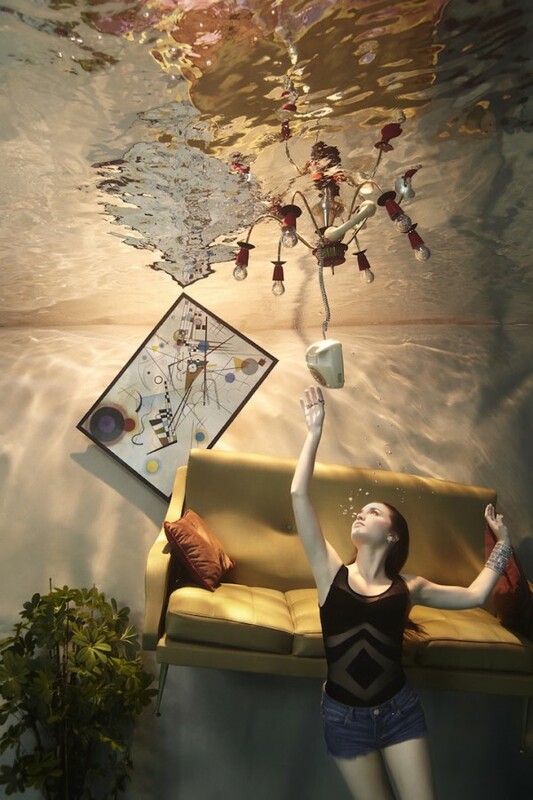 One thing you don’t expect underwater is a woman lieing on a coach while chatting on a phone. “The Flood” is an impressive photo series by Belgium-based photographer Harry Fayt, featuring soul singer Typhene Barrow. 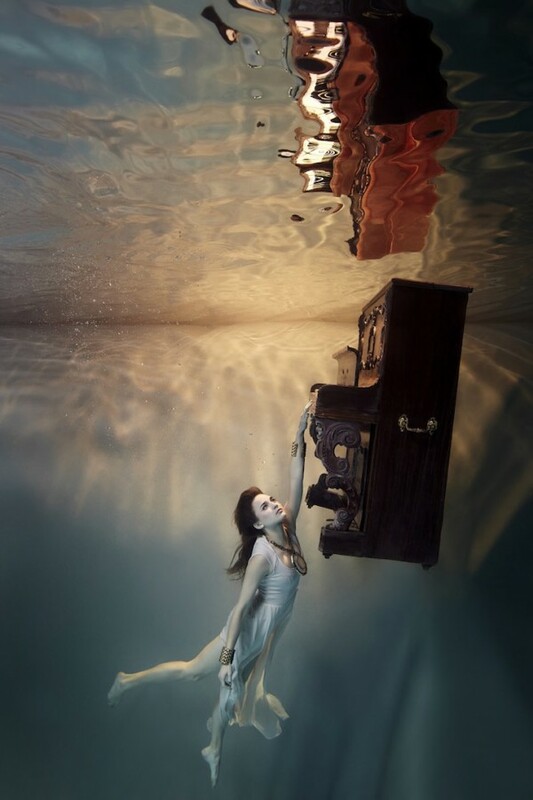 It is a superb hard work to catch shots like these underwater. 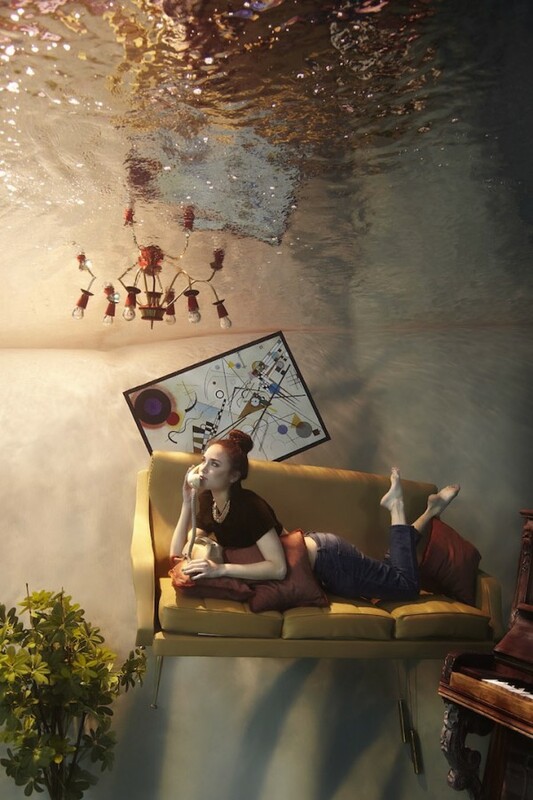 “The Flood” is a pure evidence that photography has no boundaries nowadays. At first glance, it seem to be a simple room with few details and some furniture but if you look closely the photos may depict the messed up thoughts of Typhene. The atmosphere in the works is truly dreamy and peaceful. Imagination is that thing that takes photography to no limits.